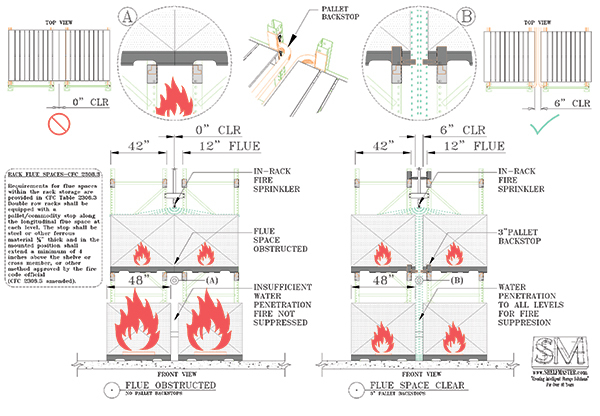 In most Southern California cities, Pallet Back Stops are a requirement for flue space within a storage rack system. Single and double row racks are to be equipped with a pallet/commodity stop along the transverse flue space at each level. Double row racks are to be equipped with a pallet/commodity stop along the longitude flue space. In double row racks, where products are hand-stacked, chain link should be securely attached to the rear of the racks.